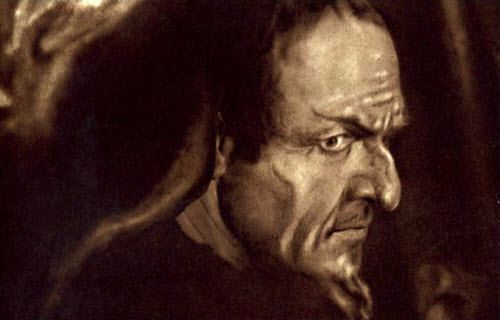 This aria, from the 1st act of Boito’s Mefistofele, captures the essence of Goethe’s Mephisto. Of course, the opera is one of many musical works based on Goethe’s monumental play. Mefistofele is the spirit that denies. The words to ‘Son lo spirito che nega’ are below in Italian and English. Every great bass (or a bass who thinks he’s great) wants to sing this aria. There are many ways to perform the piece. Dramatic and vocal intensity are requisites for a successful interpretation. The 11 basses below vary significantly in how they present this aria. There’s more than a minute’s difference between the slowest and the fastest rendition. Even the whistling varies. One bass incredibly leaves it out altogether, another only does it at the end. Most uses a whistle dubbed by an orchestra member. A few do it themselves. I’ll discuss each performance as each is presented. Feodor Chaliapin (1973-1938) was the dominant bass of his time. His overwhelming stage presence and his dark expressive voice mesmerized his audiences. He made both his La Scala and Met debuts as Boito’s devil. Though many in New York recognized his greatness, the Met’s audience was not ready for his volcanic interpretations. After the season of 1907-8 he did not return to the Met until 1921 when the Met was in desperate need of a super-star to replace Caruso who died in August of that year. Chaliapin Son lo spirito. This recording was made live on the stage of London’s Royal Opera House in 1926. Chaliapin’s unique voice and style make him instantly recognizable. He does his own whistling. Nazzareno De Angelis (1881-1962) made his career in Europe except for a few seasons in Chicago. He was especially known for his interpretation of Mefistofele. He is said to have sung the opera more than 500 times. This may be an exaggeration as I wonder if there were 500 performances not sung by another bass available to him during the 30 years of his activity onstage. Nevertheless, he sang the role a lot. De Angelis Son lo spirito. His recording shows why he was in great demand in the part. He does hold a couple of notes a little longer than required. 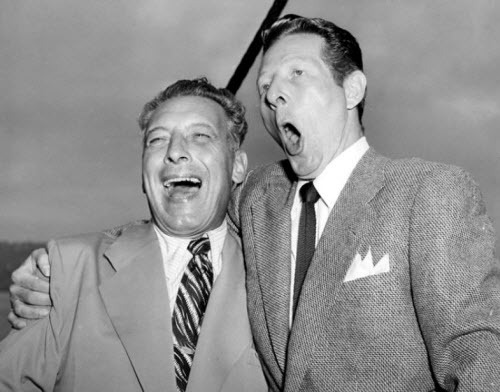 Ezio Pinza (1892-1957) sang 849 performances at the Met over 22 seasons – an astonishing 40 performances per season. This span includes three months (March through May of 1942) when he was locked up on Ellis Island along with other Italian-Americans who were suspected of being Axis agents – a ridiculous possibility in Pinza’s case. Fortunately he was back at the Met after his release. Pinza had a lyric bass which combined with his good looks and attractive stage presence made him a big star in New York. He’s probably best remembered for his starring role in Rodgers and Hammerstein’s South Pacific after his operatic career was over; he wisely stipulated that his part in the show contain no more than 15 minutes of singing. He never performed Mefistofele at the Met. I don’t know if he did the role elsewhere. Pinza Son lo spirito. Tancredi Pasero (1893-1983) was an exact contemporary of Pinza. He sang most often at La Scala, but he did appear at the Met 117 times between 1929 and 1933. He sang Leporello to Pinza’s Don Giovanni twice at the Met. The first of this pair was broadcast on December 17, 1932 – but no recording of this performance exists. Other members of that cast included Tito Schipa and Rosa Ponselle. Pasero Son lo spirito. As you can hear, his vocal technique is similar to that of Pinza. To my ears, neither of these two Italians brings the ferocious intensity that the aria require. Giulio Neri (1909-1958) had the most cavernous bass sound within memory. Unlike Pinza and Pasero, Mefistofele was a key part of his repertoire. He recorded the complete opera for Cetra. Neri Son lo spirito. His sound alone is enough to terrify the listener. Why he omits the whistling is mysterious. In place of the whistling he inserts a sixth ‘fischio’. Neri died suddenly of a heart attack shortly before his 49th birthday. The Bulgarian bass, Boris Christoff (1914-1993) had a voice in the great tradition of Slavic basses headed by Chaliapin. His visual and vocal acting were in the same class of excellence as his Russian predecessor. He was supposed to open Rudolf Bing’s first season as King Phillip is Verdi’s Don Carlo, but was denied entrance to the United States because of the McCarran Immigration Act, which banned citizens of Eastern bloc countries from entering the country. Ironically, Christoff was vocally opposed to the communist regime in his native Bulgaria. Though he sang in San Francisco, he refused subsequent invitations from the Met and never sang there. 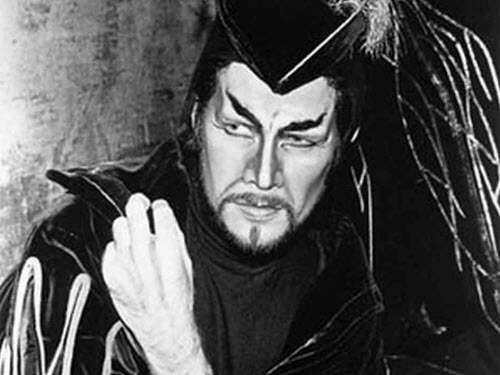 He was replaced in the 1950 Met Don Carlo by Cesare Siepi who made his Met debut as Verdi’s Spanish king. Christoff Son lo spirito. Cesare Siepi (1919-2010) was the leading Italian bass of his time. While he had a wide repertoire he was particularly know for his portrayal of Mozart’s Don Giovanni. Mefistofele was also one his important roles. Siepi Son lo spirito. He left the Met in 1974 after 491 performances with the company because of a bitter dispute with management. Bass Nicolai Ghiaurov (1929-2004) was another renowned Bulgarian bass. Though he sang a little too long, at his peak he was one of the greatest basses of the 20th century. Ghiarurov Son lo spirito. His performance of the aria is marred only by the unexplainable omission of the first whistle, but not the second. 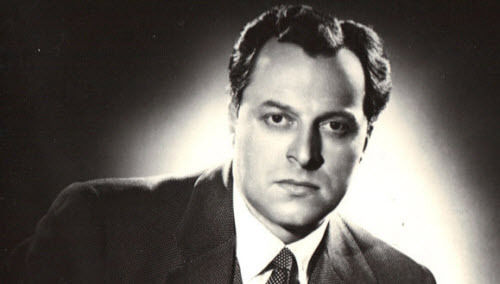 The Belgian bass-baritone Jose van Dam (born 1940) was a great artist. He brought intelligence and insight to everything he did. Mefistofele is not a role associated with him. I don’t think he ever did it in performance. van Dam Son lo spirito. Sam Ramey (born 1942) was a bass in a class by himself. He could do the most intricate coloratura passages with unmatched ease. Yet he was also the greatest Mefistofele of his time. Ramey Son lo spirito. This is by far the slowest interpretation of the aria, but it works. No superlatives can do him justice. He was one of the wonders of the world. Another vocal wonder is Bryn Terfel (born 1965). He voice is so good that sometimes he falls back on vocal excellence at the expense of characterization. That was true of his Wotans during the Met’s recent Ring Series, but not so for his more recent Falstaff in San Francisco. There his acting matched his great voice. In this rendition of the aria, recorded in a concert performance, he’s fully engaged. Terfel Son lo spirito. If Terfel so wishes he has everything needed to be a great Mefistofele. And he can really whistle. As a bonus, here’s a video of the entire opera featuring Ramey in the title role with Denis O’Neill as Faust and Gabriela Beňačková as Margherita and Elena. Maurizio Arena conducts the San Francisco Opera Orchestra and Chorus (1989). The video is below the lyrics to the aria. Enjoy it while you can. I don’t know how long it will remain live. sempre tutto; l’astro, il fior. turban gli ozi al Creator. fischio, fischio, fischio, fischio, fischio! everything always; the stars, the flowers. I whistle, whistle, whistle, whistle, whistle! recesses of the great All: Obscurity. who will return to Darkness.